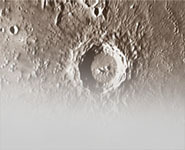 One can access results that were presented at the Lunar Science Conference (1971–1977) and subsequent Lunar and Planetary Science Conference (1978–present). An immense amount of high-quality data exists in the three- and two-page abstracts written for those conferences. The titles, authors, and PDF files of the full abstracts presented from 1997 through today are available and can be searched using LPI's Abstract Search tool. Abstracts from earlier conferences will be added to the LPI's searchable abstract collection in the near future. Full peer-reviewed papers published in the Proceedings of the Apollo 11 Lunar Science Conference (1970), Proceedings of the Lunar Science Conference (1971–1977), Proceedings of the Lunar and Planetary Science Conference (1978–1990), and subsequent Proceedings of Lunar and Planetary Science (1991–1992) are currently available through the Smithsonion/NASA ADS Proceedings Query Page. The LPI Library also has a large collection of additional lunar surface documents. A search of documents in the library can be run using the on-line LPI Library Catalog. Another important source of information is the Lunar Sourcebook, which provides an excellent set of post-Apollo summaries of lunar surface research. Finally, information can be obtained using LUNAR SEARCH (upper left), which accesses information at the Lunar and Planetary Institute and elsewhere. A good summary of previous results is "Lunar Minerals," which is Chapter 5 of the Lunar Sourcebook (1991). More recent results can be found using LPI's Abstract Search engine. A good summary of previous results is "Lunar Rocks," which is Chapter 6 of the Lunar Sourcebook (1991). More recent results can be found using LPI's Abstract Search engine. A good summary of previous results is "The Lunar Regolith," which is Chapter 7 of the Lunar Sourcebook (1991). More recent results can be found using LPI's Abstract Search engine. USGS Report, H.J. Moore et al., 209 pages. R. V. Morris et al., JSC Planetary Materials Branch Publication 67 (JSC 19069). W. David Carrier III, 11 pages. W. David Carrier III, 19 pages. W. David Carrier III, 16 pages. W. David Carrier III, 24 pages. W. David Carrier III, 17 pages. Brief summary of slopes and surface roughness that characterize the lunar regolith, 32 pages. Brief summary of the physical properties of lunar soils, 29 pages. A good summary of previous results is "Chemistry," which is Chapter 8 of the Lunar Sourcebook (1991). More recent results can be found using LPI's Abstract Search engine. A classic (and hard to find) paper about secondary cratering, E.M. Shoemaker, 16 pages. A film showing the impact cratered evolution of the lunar surface. Film A-125, NASA Ames Research Center. A good summary of previous results is "Lunar Surface Processes," which is Chapter 4 of the Lunar Sourcebook (1991). More recent results can be found using LPI's Abstract Search engine. Another excellent source of information is Don Wilhelm's The Geologic History of the Moon, USGS Professional Paper 1348. NASA-SP-362, H. Masursky, G.W. Colton, and F. El-Baz (eds. ), 266 pages. Losiak et al., LPI Lunar Exploration Intern Program (2009). Revised by T. Öhman, LPI (2011) and (2015). Recommendations for post-Apollo lunar science activities by many of the participants that planned and executed the Apollo lunar surface science investigations. NASA-JSC document number JSC-23454, J. H. Allton, 97 pages. Illustrated briefing, D. A. Kring, 76 pages. NASA Reference Publication 1317, T. A. Sullivan, 182 pages. NASA Reference Publication 1345, N. A. Budden, ed., 255 pages. Status reports on the operation of the Apollo Lunar Surface Experiments Package. NASA Technical Memorandum 4271, Dean B. Eppler, 24 pages. Additional relevant information appears in "The Lunar Environment," which is Chapter 3 of the Lunar Sourcebook (1991).